Dentures - Dr. Isaac Comfortes, D.D.S. At Total Health Dentistry of Encino, one of our expert services is replacement of missing teeth with traditional removable dentures—but, in many cases, implant supported dentures and implant retained dentures are preferred. In almost all circumstances, implant supported dentures (often called “snap on dentures”) or implant retained dentures (often called “fixed dentures”) are the best treatment for both short-term and long-term oral health. For this reason, if you are missing multiple teeth, missing all teeth, or wearing a removable overdenture, we invite you to read about the health benefits of dentures stabilized on implants and to consider this option. When teeth are lost, tooth roots are no longer stimulating bone tissue, and bone tissue begins to resorb. The process of bone resorption can dramatically change the shape and density of the bone with consequent changes in the structure of the face, making you appear aged. The degree of resorption you have experienced is a factor in dental implant treatment. You may need a bone graft prior to implant placement. But, with implant treatment, stimulation of the bone tissue is restored, which will slow down and minimize the resorption process. If you do need a bone graft prior to implant treatment, the graft will restore your bone to a volume and density to receive one or more implants. Bone resorption is also a factor in traditional removable overdenture treatment. As the jawbone changes, the morphology of the overlying gum tissue changes. Periodically, your overdenture will need to be relined to fit, or it will need to be replaced. Often, the cumulative cost of retreatment is as much or more than the cost of implant treatment. When one or more teeth are lost, remaining teeth tend to drift into the open space. Denture treatment may slow down the process, but tooth roots next to the vacated space in the bone will still drift into the opening. Drift will change the alignment of your teeth and the function of your bite. Changes in your bite can affect your jaw joints and muscles, adding to discomfort. Dental implant treatment stops tooth drifting and stabilizes the bite. Traditional removable dentures are not stable. They tend to slip out of place. Biting function with traditional dentures is not as strong as that of natural teeth and not as strong as that of implant supported or fixed dentures. People who wear removable overdentures avoid certain foods and can suffer from dehydration because they want to minimize slippage by limiting the liquids they drink. In contrast, patients who have stronger, stable biting function due to implants, eat the full range of foods and chew their foods fully. They drink beverages at any time of day without worry. And, with improved nutrition, hydration, and digestion, their overall health improves. Because implant supported and implant retained types of dentures improve health, appear and function naturally, and are comfortable, life quality significantly improves. Today’s custom fabricated dentures are nearly undetectable. A complete overdenture (sometimes called a “full denture”) is used when all teeth are missing on the upper or lower jaw. Complete overdentures are made of an acrylic plastic base that is colored to look like gum tissue, and this base supports a full set of prosthetic teeth. A removable overdenture is held in place by forming a vacuum seal with the gums. Saliva, liquid beverages, and tongue movement can easily break this seal, especially in the case of a lower overdenture, making the denture slip. Partial dentures are also usually made with an acrylic plastic base to support multiple prosthetic teeth. Traditionally, partial dentures are held in the mouth by using clasps and rests that are attached to the adjacent natural teeth. Both full and partial traditional dentures are removed by the patient for cleaning and while asleep at night. Denture adhesives are commonly used to help keep complete overdentures in place during the day. An upper complete denture covers the entire palate of the mouth, reducing the ability to enjoy foods. If you have worn a removable denture for a while, the bone tissue under the denture has started to resorb and the bone has decreased in size and changed in shape. The gum tissue overlying the bone has conformed to the new contour of the bone. The result is a denture that no long fits ideally. The movement of the denture can be quite frustrating…even uncomfortable. The adhesion of your denture may be inadequate, contributing to slippage. This is the primary motivation for patients to convert from a removable denture to an implant supported denture or fixed denture. Today, both partial and complete dentures can be supported on dental implants that are surgically placed in the bone. These “implant supported” dentures are snapped into place on the implants using a ball and socket type of attachments. Implant supported dentures are designed to be removed by the patient for cleaning and before sleep. The main advantages of implant-supported dentures are increased biting strength and non-slippage, which provide for increased comfort, easier eating, and improved social confidence. This enhanced stability also results in longer lasting dentures. One of the key advantages of this treatment for an upper denture is that an implant supported “snap on denture” does not cover the upper palate (“roof”) of the mouth. Patients appreciate the fact that mini implants can be used with implant-supported dentures. Because the implants are small, less bone tissue is needed to secure them. Each miniature implant still acts like a tooth root, stimulating bone regeneration. The benefits are so great and this treatment is so easy that an implant-supported lower overdenture is now the ADA Standard of Care for patients who have lost all lower teeth. Hybrid dentures are a “fixed” alternative to traditional complete overdentures. Patients can have an upper or lower overdenture fixed on as few as four dental implants. These fixed dentures cannot be removed by the patient, are worn during sleep, and are cleaned like natural teeth with special attention to cleaning under the edge where the denture meets the gum tissue. Depending on the circumstances, sometimes more than four implants are used for more predictable results. One of the key advantages of this treatment for an upper denture is that a hybrid denture does not cover the upper palate (“roof”) of the mouth. A hybrid denture is also an especially desirable type of denture for the lower jaw where a traditional full denture has less adhesion and the tongue easily dislodges it. Hybrid dentures are the first choice for many patients because they do not need to be removed and inserted by the patient, they provide the ultimate stability, and they are the most lifelike in function and care. Your goals will factor into the type of denture treatment you choose. We want you to be totally happy with your denture. With so many choices and considerations, Dr. Isaac Comfortes spends a lot of time with patients, explaining the options and helping them consider what is right for them. His goal is to help you learn about your choices and make treatment decisions that are right for you, so if you need time to think or want to bring a family member with you to learn about the options and help you decide, we support this. If you want a second opinion, we understand. If you need a second opinion, we can do this as well. What are the advantages and disadvantages of the treatment options for your individual circumstances? Do you want the longest-term solution that you will be happy with for the most years? Do you want the most natural biting strength? Do you want to improve your nutrition and digestion for improved systemic health? Do you want to preserve your bone and facial structure? Are you dissatisfied with the type of denture you have now? Do you want to remove your denture for cleaning and sleeping, or would you rather have it fixed in place? Do you want to minimize your need for repeated treatment in future years? Do you desire treatment to be completed within a few weeks or are you willing for treatment to be completed over a period of months? Will you need financing for your treatment? Do you have trust in dentists and dentistry, and if not, why and what can be done to gain trust and have the care you deserve? What additional oral and systemic health problems do you have that may affect your treatment? Will continuing to consider your options for a few weeks exacerbate existing oral health problems? Quality treatment that supports health and confidence is our goal. 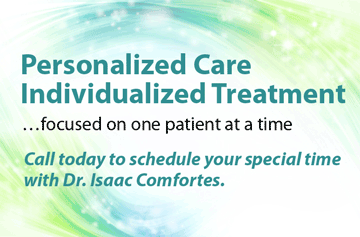 No matter what your choice for treatment, Dr. Isaac Comfortes will make sure you are confident in your decision. He will spend time making sure the design of your denture will optimally fit, function and appear naturally beautiful. For all our dentures, our preferred dental lab uses the latest, highest quality dental materials, ensuring the most beautiful esthetics and long-lasting results. If you decide to have your denture supported or fixed on implants, Dr. Comfortes will have an exceptional, local dental specialist surgically place the implants in your bone at the right stage of your treatment process, and then Dr. Comfortes will collaborate in the completion of your treatment and provide you with ongoing maintenance care. No matter which type of denture you choose from among those appropriate for you, you will be given detailed information on what to expect and do as you get used to wearing your denture. And, we will have you return to our office soon after placement of your denture to evaluate if any adjustments are needed for comfort. There should be no shame attached to needing a denture. More than 35 million Americans do not have any teeth, and 178 million people in the U.S. are missing at least one tooth. Years ago, we did not have the level of dental care we have today. Many Californians were not afforded regular dental care during periods of their life or they have oral health circumstances that caused damage to their gums and teeth. It is stressful for some patients to seek the treatment they need and want, because they are ashamed that they have lost teeth. We want you to know that the dental team at Total Health Dentistry of Encino is not judgmental. We want to help you move forward from the place you are today to a healthier, happier life. Dr. Isaac Comfortes has the heart of a healer, the skilled hands of an engineer, and the eyes of an artist. 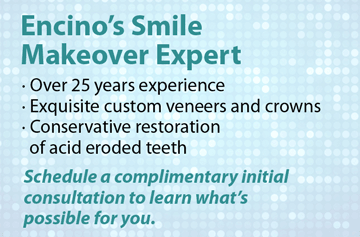 These traits make him a master at restoring not only full mouth health and function but also beautiful smiles. These traits make him a compassionate guide to the dentistry that will change your life. And, because of his expertise in total wellness, you will be able to have ongoing healthy mouth maintenance care and systemic health counseling to stay on the path of wellness and confidence. 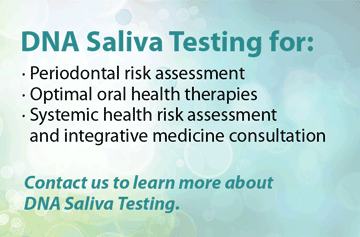 We invite you to give us a call for an exam and consultation about your special mouth. If you have one or more missing teeth, you will be glad you called us. 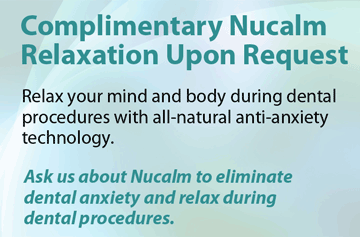 For compassionate diagnostics… alternative treatment plans… full-disclosure treatment guidance… kind, relaxed treatment… exquisite results… and optimal ongoing care, give us a call today.